Can you remember your first significant regret? I can. The option to study Mandarin had just became available at my secondary school and, to mark the occasion, the newly appointed teacher took to the stage during one morning’s assembly. She delivered a heartfelt plea that we all immediately join her newly launched classes. With the benefit of hindsight, I wish I had signed up there and then! 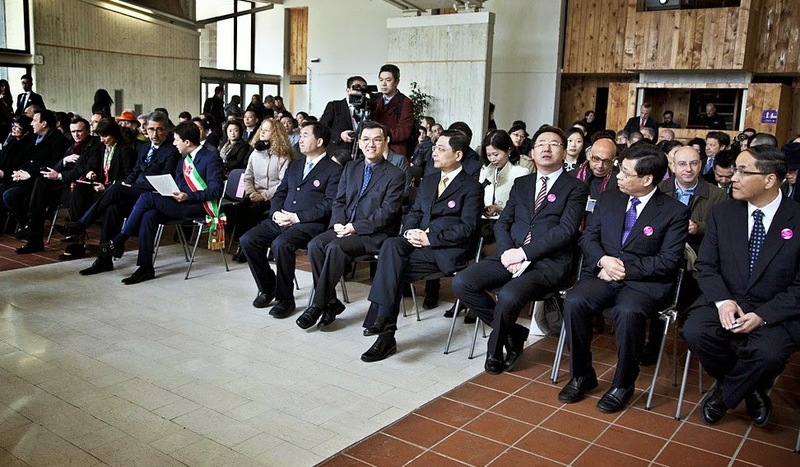 For, on 25th March 2014 I found myself representing digiQualia at the inauguration of the Shanghai-Florence Sino-Italian Design Exchange Centre in Florence. With Shi Yu Liu and Lynn Guo. Photo by digiQualia. The last decade has seen an extraordinary rise in the West’s professional interest in Chinese art. In 2006 Sotheby’s and Christie’s, the world’s biggest auction houses, sold $190 million worth of Asian contemporary art. The majority of this was Chinese. Just two years before, their combined sales of Asian contemporary art had been far less at $22 million. Last December, the New York Metropolitan Museum of Art unveiled their exhibition Ink Art: Past as Present in Contemporary China. Dubbed as a ‘milestone’ in the history of Chinese contemporary art, it featured work by Ai Weiwei, Fang Lijun, Xu Bing and Zhang Huan. But the tables have turned. 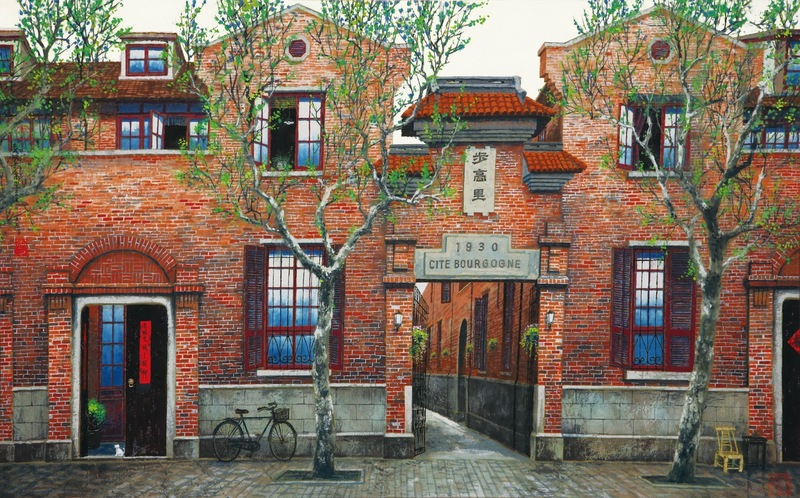 Now, Shanghai has set sights on breaking into the European art Market. 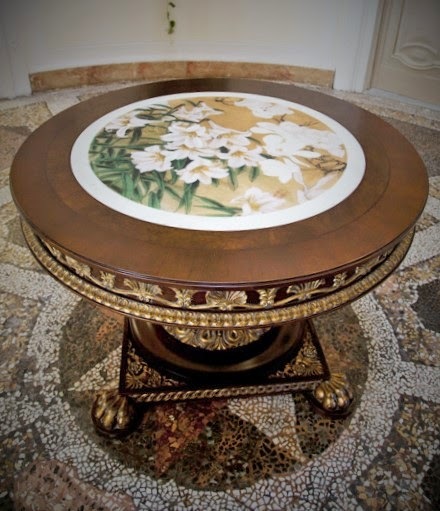 Commissioned to mark the initiative, this table features the white magnolia symbolic of Shanghai and the white lily for Florence. Photo by digiQualia. 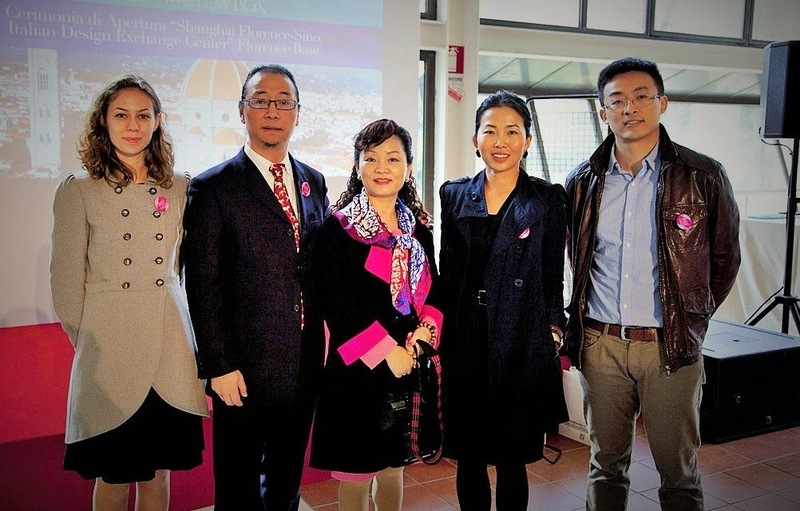 This initiative formally began on 10th November 2012 when the Florentine municipal government and UNESCO Creative City (Shanghai) Promotion Office met to sign an official agreement. Its aspiration was for the Villa Stozzi to become the ‘bridgehead for Shanghai and Chinese creative design enterprises’. Speaking at the event Dario Nardella, the Florentine Mayor, described Shanghai as a ‘metropolis of great change’, full of ‘opportunities and amazing challenges’. He also expressed his belief that, through cooperation with Shanghai, Florence could build a platform of international standards that would encourage the growth of creative professionals. 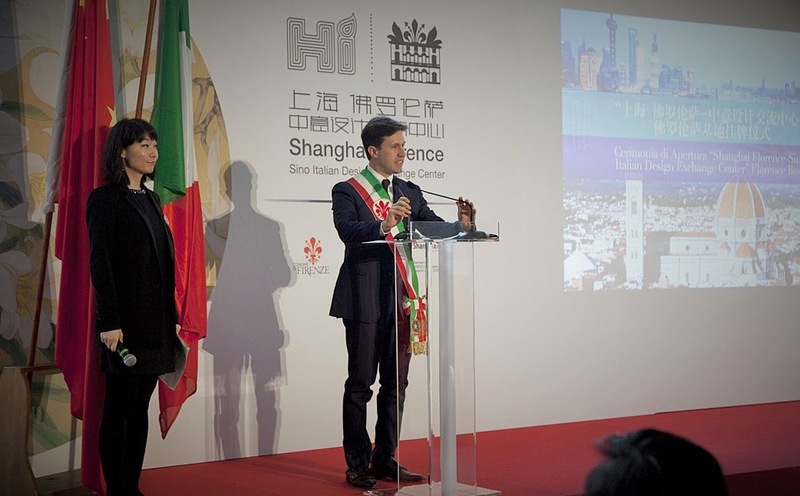 Florentine Mayor Dario Nardella at the inauguration of the Shanghai-Florence Sino-Italian Design Exchange Centre. Photo by digiQualia. 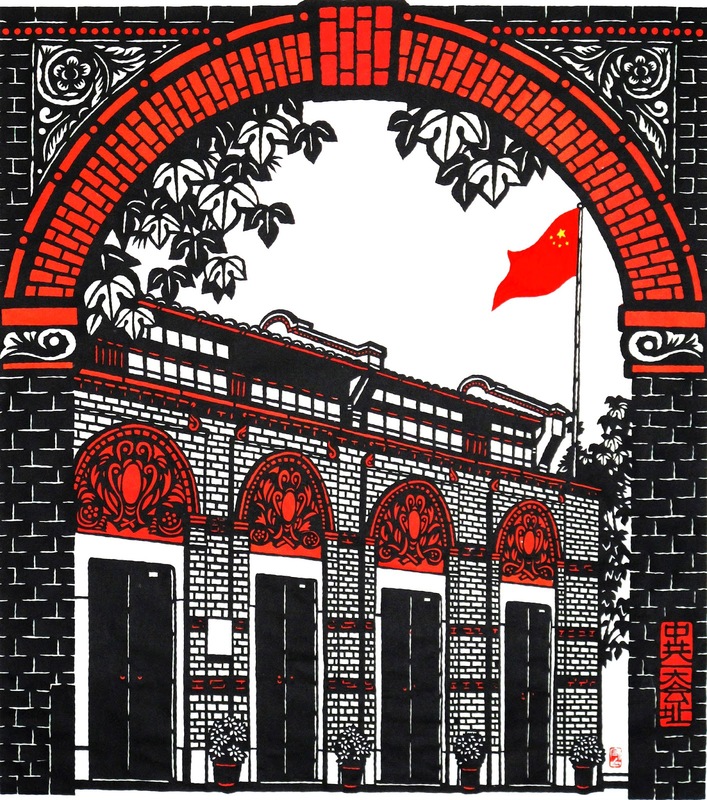 Currently, Shanghai boasts 48 institutions of Higher Education with their own departments of design, such as the College of Design and Innovation of Tongji University, Fashion Art Design Institute of Donghua University and the Shanghai Institute of Visual Art. Following the official speeches, I was lucky enough to interview Li Shoubai. As one of Shanghai’s leading artists, Li is considered a master in contemporary heavy colour paintings and paper sculpture. 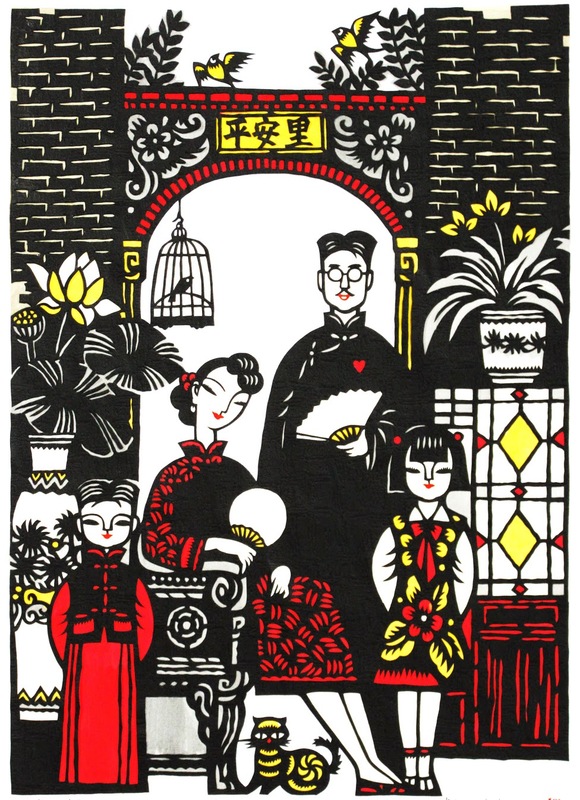 Born in 1962 to an artistic family, Li created his first artwork when just six years old. It was at the ‘insistence’ of his father rather than of his own desire. But… Li’s interest grew until creating art became ‘all-consuming’ and he chose to make it his career. As such, Li’s art is unique. He strives for his synthesis of heavy colours and feather-like brushstrokes on rice paper to reference both ‘western and eastern elements’. When I asked if there is a ‘dream image’ that he is yet to capture Li shook his head slowly. Just as I began to worry that I had caused offence, Li spoke. He explained that his projects are all ‘creative processes’… that his achievements are ‘based upon life’. Therefore, Li couldn’t possibly know what an image would look like if he had not yet experienced it. Even as it was happening, I knew 25th March 2014 to be a steep learning curve. Although I was able to follow the Italian speeches, having to rely on another when talking with the Shanghai officials and artists was an unsatisfying experience. It certainly made me regret not studying Mandarin! I’m glad my more business-minded younger sister is. With Li Shoubai, Mrs Shoubai, Shi Yu Liu and Lynn Guo. Photo by digiQualia. Shanghai is one of China’s most powerful economic centres. 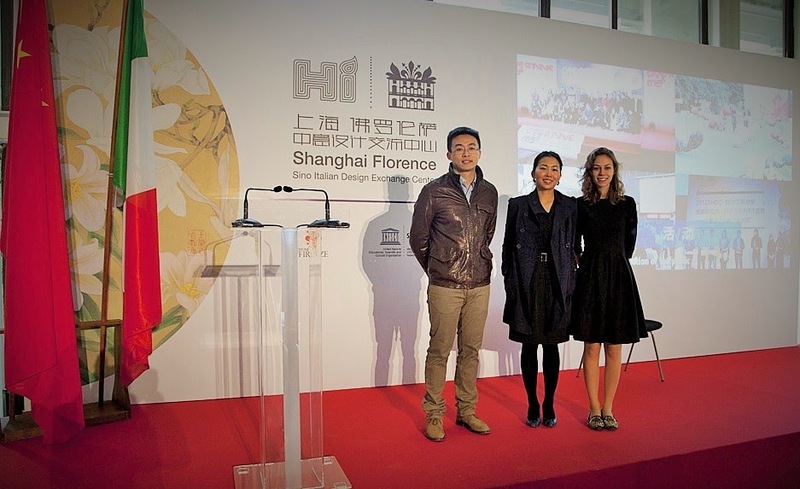 Predictions state that by 2020 it will be an ‘international centre for finance, trade, shipping and economy.’ If the Shanghai-Florence Sino-Italian Design Exchange Centre is a success – I am certain we can add art to the list!